LAS VEGAS — Friday night’s annual NASCAR awards might have been the official coronation for new Sprint Cup Series champion Kyle Busch. But in many ways, it was Jeff Gordon’s night. 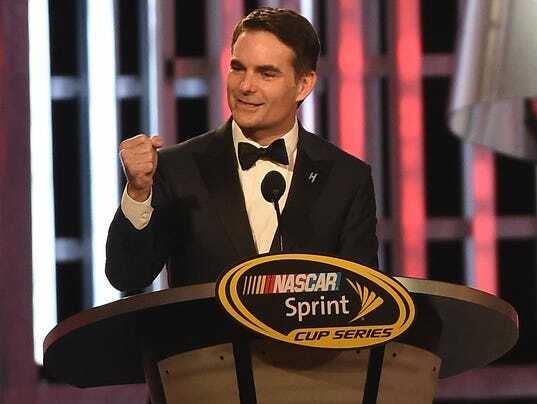 Gordon, relatively stoic all year about his upcoming retirement from racing, repeatedly broke down in tears during his speech — as well as during a surprise appearance from Tom Cruise, who showed up to honor the four-time champion. The outpouring of emotion was a major departure from the future Hall of Famer’s year-long farewell tour, in which he repeatedly said the finality hadn’t hit him yet. Clearly, it did on Friday.